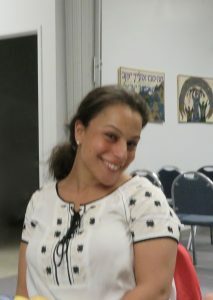 Rachel Rothstein was born and raised in Cincinnati, Ohio and is studying to be a Rabbi at Hebrew Union College – Jewish Institute of Religion. After graduating from Miami University in 2010 with a Bachelors Degree in Comparative Religion and a minor in Anthropology, Rachel worked for various nonprofit organizations in Cincinnati and helped with marketing, public relations, programming and event planning, and general communications. When she first graduated from college, Rachel worked for The Mayerson Foundation, a private family foundation in Cincinnati that focused on building Jewish community amongst loosely connected Jewish young professionals, young Jewish families, and interfaith families. This experience greatly impacted Rachel’s decision to pursue the rabbinate since Rachel is passionate about building and shaping the community. Additionally, Rachel also taught several classes at Cincinnati’s Reform Hebrew High School, Kulanu.